The Royal Australian Navy has been testing EPE’s Maritime Portable Raman Improvised Explosive Detector (PRIED) system in Darwin this week. 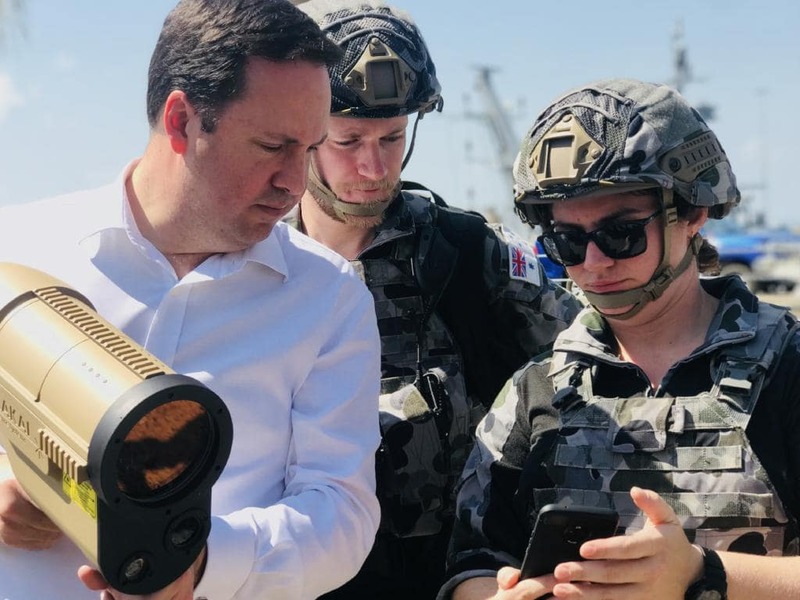 This project, awarded under the Defence Innovation Hub to the value of approximately $1 million, involves EPE working with Navy to develop a portable dangerous substance and explosives detector suitable for maritime operations. The function of the unit is to provide stand-off detection of narcotics, explosives, homemade explosives (HME), chemical warfare agents, toxic industrial chemicals, toxic industrial materials and related chemical precursors. The PRIED is man portable and can rapidly scan from 10m-40m with the ability to scan in excess of 40m (depending on the material) and day/night conditions. It uses a “next generation” eye safe raman spectroscopy sensor that utilizes deep-ultraviolet (DUV) illumination without detonating explosive material. Warwick Penrose, Managing Director of EPE, a small Australian business based in Brisbane, is proud to be working closely with Defence to develop this next generation force protection capability for those members of the Royal Australian Navy who engage in boarding operations. “The PRIED project recognises EPE’s long term commitment and investment in building and developing sovereign Force Protection capabilities that help take Australian servicemen out of the danger zone. Our team delivers a broad spectrum of innovative Force Protection capabilities that are in service today with the ADF, NZDF as well as local and federal police and first responders” Warwick said. This Defence Innovation Hub project funded by the Federal Government gives EPE the opportunity to further develop this technology which has been deployed for force protection on Land, and modify it to meet the unique requirements of maritime application both in Australia, New Zealand and the Asia Pacific region.